Hello ... Hello ... my old friends ... It's great to see you once again! 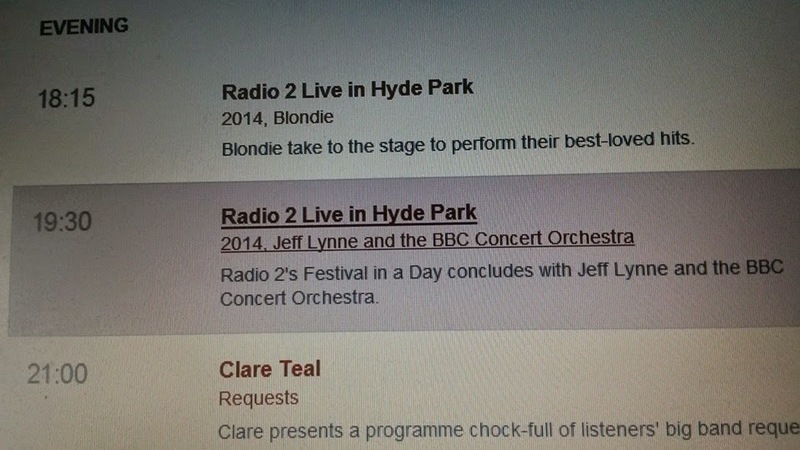 In advance of his highly anticipated live performance at Hyde Park on Sunday 14th September 2014 at the finale of BBC Radio 2's "Festival In A Day" with Richard Tandy, the Take That session/touring band and the BBC Concert Orchestra, ELO maestro Jeff Lynne is not only in rehearsals with said musicians, he will be also out and about in the media in the coming week with at least two  confirmed interviews taking place on Absolute Radio between 7:00PM and 8:00PM on Sunday 7th September 2014 and The Chris Evans Breakfast Show during the morning of Friday 12th September 2014.